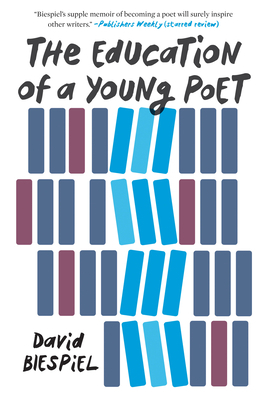 Restless with curiosity and enthusiasm, The Education of a Young Poet is a singular and universal bildungsroman, a moving account of David Biespiel's awakening to writing and the language that can shape a life. Exploring the original source of his creative impulse--a great-grandfather who traveled alone from Ukraine to America in 1910, eventually settling as a rag peddler in the tiny town of Elma, Iowa--through the generations that followed, Biespiel tracks his childhood in Texas and his university days in the Northeast, led along by the "pattern and random bursts that make up a life. DAVID BIESPIEL is the author of several books of nonfiction and poetry, including A Long, High Whistle and The Book of Men and Women. Among his honors are a National Endowment for the Arts Fellowship in Literature, a Wallace Stegner Fellowship, and a Lannan Fellowship. He lives in Portland, Oregon, with his family.